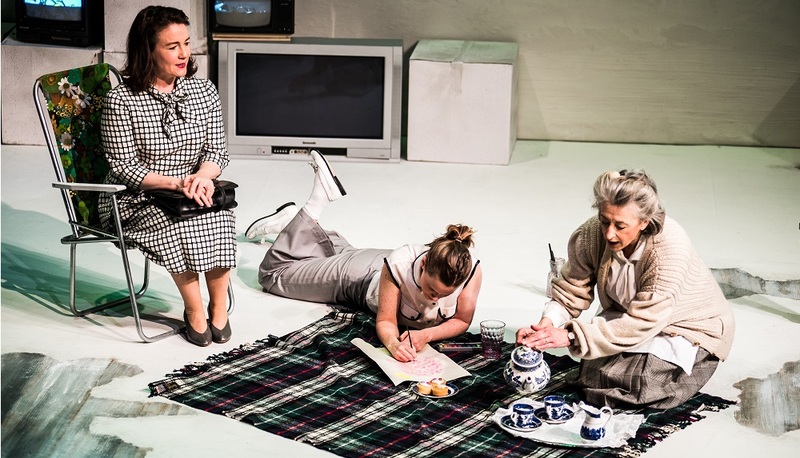 Charlotte Keatley's My Mother Said I Never Should has high ambitions: charting the social, political and emotional trajectory of British women throughout the 20th century. First performed (and instantly lauded) in 1989, it's now a theatrical and education fixture. Yet, astonishingly, Tiny Fire's production marks its first revival on the London stage. The events of the play span 1900-1987 and follow four generations of women with a jumbled chronology. Matriarch Doris (Maureen Lipman) begins as a stony-faced 1940s Mum trying to deal with the Blitz as best she can, later aging into an appealingly mordant granny. Her daughter Margaret (Caroline Faber) vows that she's going to seize the new employment opportunities for women after the war. In the blink of an eye she's raising her own daughter, Jackie (Katie Brayben), a child of the 60s who butts heads with her mother over sexual politics and heads off to art school. All too soon Jackie herself a single mother grappling with raising her own child, Rosie (Serena Manteghi). On top of that, it's all set within an abstract framing story where the woman meet as their childhood selves, apparently set in some Lord of the Flies dystopia. Sound complicated? It is. Fortunately Tiny Fire does an awful lot to keep things straight. Signe Beckman's set is strikingly minimalist, the most eye-catching feature the stacks of vintage television sets. As we transition between the decades they play footage that locks us in time; Thatcher taking office; plummy 1950s fashion ads; and or bleached punks stalking their way down the King's Road. More broadly the lack of complex set allows the play to nimbly skip from, for example, 1959 to 1979 with minimal fuss, aided by some evocative period costuming. But the main attraction are four clear and distinctive performances that're the equal of anything I've recently seen. Keatley's writing is so good that it all but demands to be done justice; giving the actors the meatily complex job of maintaining consistency as they age from toddler to adulthood. Adults playing children is usually cringeworthy at best and creepy at worst, but somehow each of these women miraculously manages it - perhaps because they go for it with precision and gusto. All four impress, though it's Serena Manteghi's Rosie and Maureen Lipman's Doris that stand out as particularly fine. Manteghi is a chaotic tangle of elbows and knees as she affectingly plays a childish enthusiasm that gradually morphs into political activism. Her face easily outpaces the stage lights as the brightest thing in the room. Throughout much the play we know secrets that she doesn't, increasing our sympathy and accentuating her vulnerability. But let's face it, it was always going to be Maureen Lipman's Doris that was going to give that tiny tingle of excitement whenever she stompily enters. Lipman as a cynical yet warm-hearted Lancashire grandmother is such an obvious casting slam-dunk that it almost feels like cheating. Nonetheless, she provides the emotive anchor to everything that proceeds, quickly becoming a kind of universal ur-grandmother. You can almost sense the audience collectively imprinting their own grans onto her; not to mention that (at least to my eyes), she's subtly channelling a bit of the Queen. As the years tick by it's next to impossible not to become wrapped up in the rhythms of their lives; you genuinely care. It feels a bit like settling down with a really good TV box set and immersing yourself in another world for a couple of hours. By the time the curtain falls the My Mother... has painted a detailed picture of 20th century femininity: the lost opportunities; the rebellions; the betrayals and, most evocatively, the familial bonds. Above all that there's a hazy, emotive sense of the architecture of history. Each of us is informed by those that came before us - whether it be by genetics, politics or wider historical circumstances. My Mother Said I Never Should is a fantastic bit of theatre, well performed, beautifully directed and staged, and with genuine universal insight into the human condition. 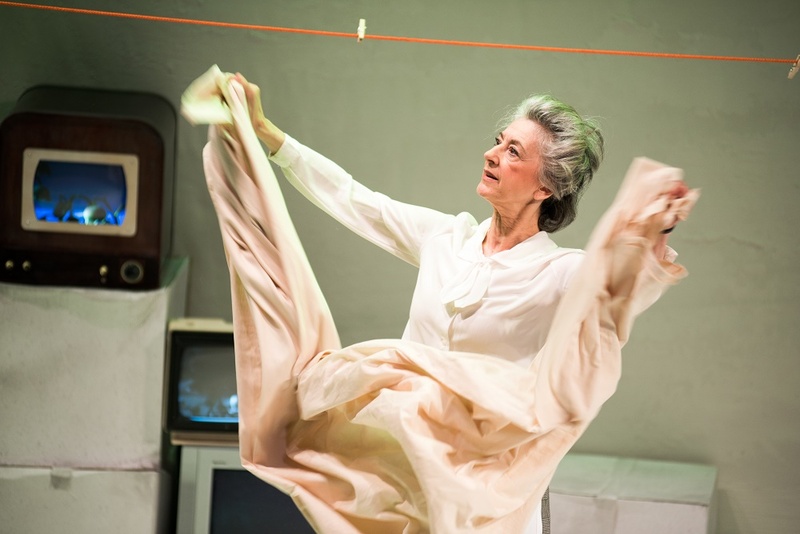 My Mother Said I Never Should is at the St James Theatre until 21 May 2016. Tickets here.